TEHRAN (Tasnim) – Iranian President Hassan Rouhani said the nation will definitely take revenge against those behind a recent terrorist attack in the southeastern province of Sistan and Balouchestan which killed 27 members of the Islamic Revolution Guards Corps (IRGC). 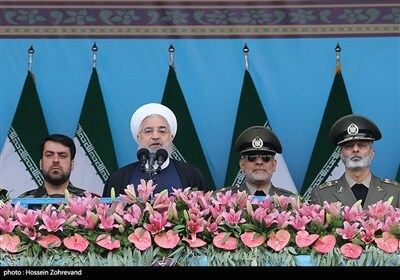 Speaking at a gathering of people in the southern city of Bandar Lengeh on Sunday, Rouhani said terrorists who care nothing about human standards killed a group of Iranian border guards who tried to defend the security of the country. “However, they should know that our nation will certainly take revenge for the blood of these dear martyrs,” the president added. 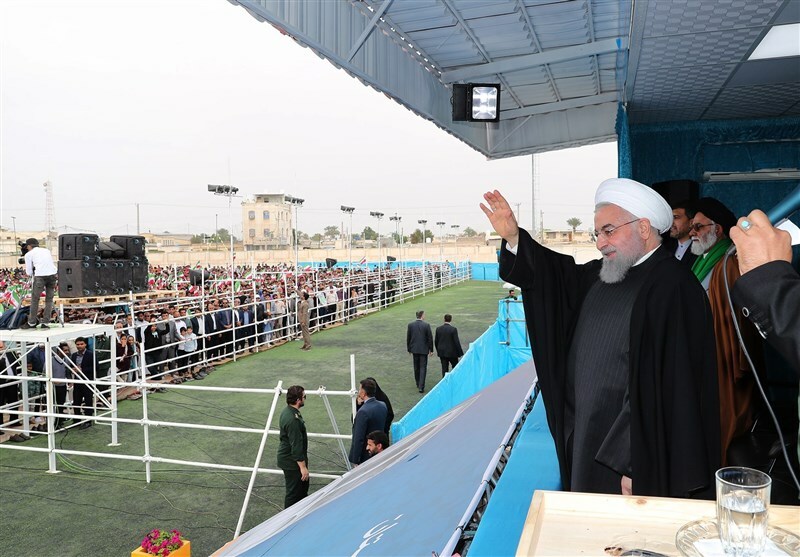 “We will not allow the criminal mercenaries, whose weapons and financial sources are supplied by foreigners…, to escape from the hands of divine revenge and the faithful people in Iran,” he said. Rouhani went on to say that those who attacked the IRGC forces should know that this “hostile and barbaric action” only encourages Iran to continue its campaign against terrorism. On Wednesday night when a number of IRGC forces were traveling between the cities of Zahedan and Khash, in Sistan and Balouchestan, their bus was hit by the suicide car bomb attack. The attack killed 27 IRGC members and injured 13 others.